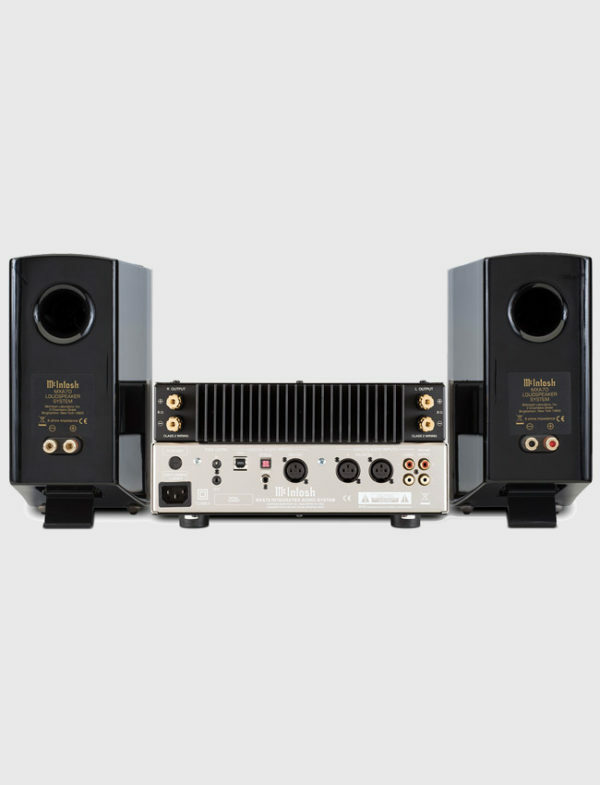 The MXA70 Integrated Audio System features a compact yet fully functional 50 watt stereo amplifier and a pair of specially designed 2-way desktop speakers. 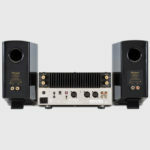 The speakers are finished in a luxurious, high gloss piano black, and achieve an unusually rich and full sized level of performance for their size. 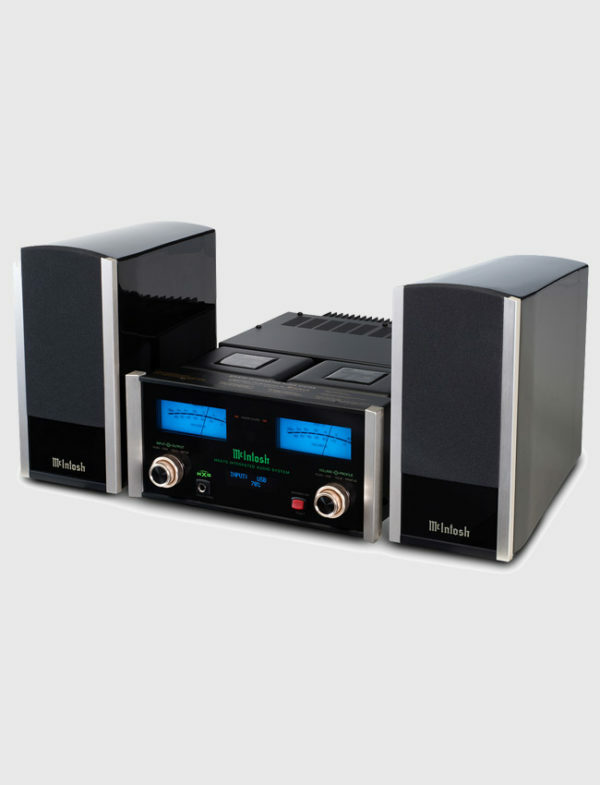 Six inputs provide you the flexibility to connect a variety of your music sources; four of the inputs are digital and allow the McIntosh Digital Engine to decode your digital music at up to 32 bits and 192kHz for maximum analog fidelity and enjoyment. For those times when you want to enjoy your music in a more intimate way, the MXA70 includes a dedicated headphone amplifier that takes advantage of unique McIntosh technologies so that every headphone – from ear buds to studio quality phones – will yield the best possible personal listening experience. Our new Headphone Crossfeed Director (HXD®) enables high quality recordings to image like conventional speakers in your headphones, bringing new dimensions to your music. The MXA70’s compact size gives you choice and flexibility when deciding where to place it in your room. 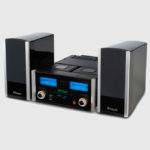 It makes a great audio system for your office, bedroom or vacation house. Our Power Guard® circuitry will prevent clipping that could damage your headphones or speakers, while a 5 Step Bass Boost Control allows for further tonal customization. The amplifier is housed in a beautiful polished stainless steel chassis that not only compliments the classic glass front panel, knobs, brushed aluminum end caps and gloss black speakers, but also blends nicely with any room decor.